Home shoppers who are eyeing a newly constructed property have a pretty good chance of scoring a place to relax outside, as builders are increasingly incorporating patios in their projects. Citing data from the U.S. Census Bureau’s Survey of Construction, the National Association of Home Builders reports that nearly 59 percent of the 850,000 single-family homes that builders started in 2017 had a patio. The share of new homes with patios bottomed out in 2009 at 45 percent and has been steadily rising since. Though porches are the most common outdoor amenity in new homes, patios are significantly more popular than decks, which are included in only about 24 percent of projects. Nationwide, the average patio is 260 square feet in size, with poured concrete the most common construction material. In California and other Pacific region states, 62 percent of new homes feature patios, making them more common than in other regions of the U.S. besides Mountain and West South Central states. 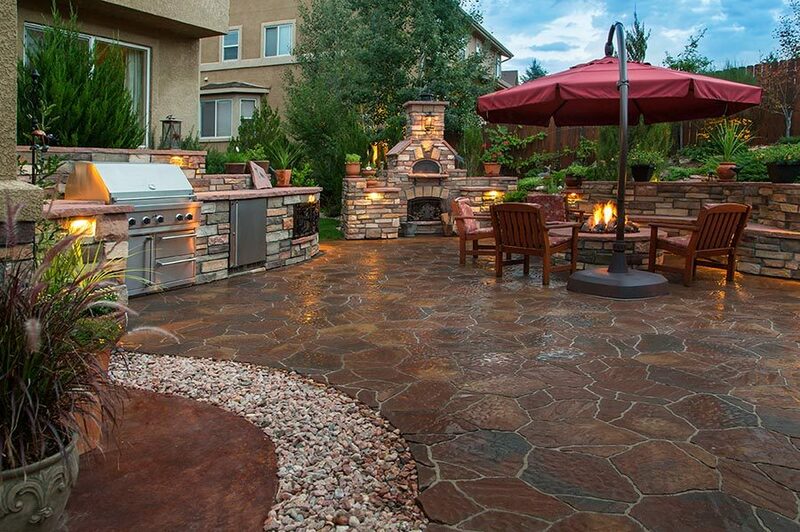 Buyers who opt for a home with a patio are more likely to spend time outdoors and throw backyard barbecues. According to survey results from Houzz released this spring, more than two-thirds of homeowners who improved their outdoor spaces spend more time in them, while about half said that they planned to throw more parties. Amassing a down payment is a significant hurdle for many first-time homebuyers, and in the Golden State, it’s a much longer journey than it was 30 years ago. That’s according to a Zillow study, which found that U.S. homebuyers now require an average of 7.2 years to save a 20 percent down payment given median home values and incomes. In 1988, homebuyers needed to save for 5.7 years to fund a down payment; since then, the savings time has increased because home value gains have significantly outpaced wage increases. San Jose homebuyers of today need an extra 13.3 years to save a 20 percent down payment than they would have in the late 1980s, the most in the country. Buyers in Los Angeles rank No. 2 for added down-payment savings time at 9.5 years, followed by those in San Francisco (8.5 years), and San Diego (7.3 years). While there is no disputing that the Bay Area is a powerhouse when it comes to the technology industry, the nation’s top places for such workers are actually about 3,000 miles to the east. A report from tech-industry trade association CompTIA evaluates the top 20 large U.S. cities for IT professionals based on number of open jobs and projected growth over the next 12 months and five years, as well as the cost of living. North Carolina claims the top two spots on the list: Charlotte (No. 1), and Raleigh (No. 2). The former city ranks in the top three for projected tech job creation, while the latter scores very high on the cost-of-living criteria. To be sure, the Bay Area is still a hotbed for tech workers, with San Jose ranking No. 4 on CompTIA’s list and San Francisco coming in at No. 5. San Jose has the most tech job advertisements in America compared with employed people, while San Francisco is first in the country for expected job growth over the next 12 months and five years. Both Bay Area cities are hampered by their costs of living, ranking last in the country for that criteria. Renters in most major Golden State cities are feeling the pinch as 2018 winds down — particularly those in Los Angeles, Oakland, and San Diego. As it has for many consecutive months, Zumper’s latest rent report pegs San Francisco as the country’s most expensive rental market in November, with the median-one bedroom unit at $3,620, up by 5.8 percent year over year. San Jose ranks No. 3 after New York City; tenants there pay $2,510 for a one-bedroom apartment, 6.4 percent more than they did at the same time last year. Rent prices were up significantly from November 2017 in No. 4 Los Angeles (15.7 percent to $2,430), No. 6 Oakland, (14.8 percent to $2,250), and No. 8 San Diego (14.5 percent to $1,890). Of the 11 California rental markets for which Zumper tracks data, one-bedroom apartment prices increased year over year in every city except Santa Ana.